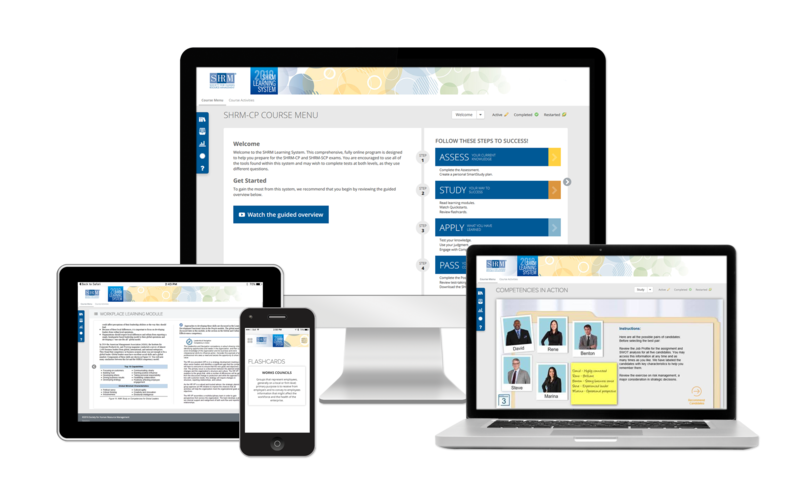 As an official SHRM Education Partner, our certification prep course utilizes the 2019 SHRM Learning System, giving you access to the most comprehensive, effective and up-to-date exam preparation tools available. Attending our course is the most effective way to prepare to pass the SHRM-CP or SHRM-SCP exam. Network, share experiences and discuss topics with a diverse group of HR professionals. Stay on track to earn your certification with a structured learning experience. Take advantage of funding options, such as corporate tuition reimbursement. 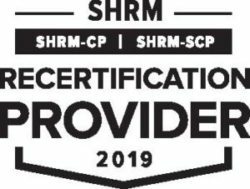 The SHRM-CP and SHRM-SCP certification preparation program was designed by instructional designers and certified human resource professionals to help participants achieve professional development goals with practical, “real-world” information within each of the functional areas of human resource management. If you’re a small business owner, are new to HR, or if HR is one of your many responsibilities, the newly updated Essentials of Human Resources course focuses on the key topics you need to know. In less than 20 hours of training time, you’ll gain practical skills to handle HR challenges that are relevant to you and can help your company avoid potentially costly lawsuits. Gain expertise in areas of HR that may be broader than the normal scope of your job. Learn techniques for handling HR challenges through interactive case studies. Utilize the print materials and one-year access to the online tools as a comprehensive source of HR information. This course addresses six key HR management practices delivered in a blended learning experience that combines print and online tools with the benefits of an instructor-led class. Do you have an interest in the Learning Systems Course or The Essentials of Human Resources program and are looking for more information or additional dates? Contact us today! We can be reached by phone at 518-454-5144 or by email. The skills and topics covered are applicable to core HR business in both the public and private sector, and can have a positive impact on the leadership and management within any organization. I used my certification to broaden my scope of HR knowledge, influence, and professional credibility. Several of my team members are certified and they share a common philosophy, strategic partnership and awareness that we benefit from on a regular basis. I encourage HR professionals to take advantage of the prep course and the benefits of becoming certified. I was fortunate to attend a prep class at the College of Saint Rose to prepare me to take the Human Resources certification exam several years ago. The class was thorough and necessary to adequately prepare me for the exam. Not only did I benefit from the instructor and her vast knowledge of HR, the class attracted top talent from the Capital Region that enhanced our classroom discussions. The course covered all relevant aspects of HR and emphasized how to leverage HR support to enhance your business partnerships and support your organization. At Living Resources, where I serve as Director of HR, I completed the class in 2007, and I have since referred 4 members of my HR team to enroll…all 4 passed SHRM-CP exam. In my opinion, the class will thoroughly prepare you to take the exam, and is a great opportunity to promote career development within your organization. I highly recommend the College of Saint Rose SHRM Learning System Prep class for anyone interested in broadening their skill set in Human Resources and being recognized as a true professional in the field. Additionally, from an organizational viewpoint, it’s a Win-Win, considering the benefits an organization will receive from having skilled HR professionals as business partners. I passed the SHRM- CP certification exam and greatly credit this Saint Rose class. I recommend it to everyone I know interested in studying for their SHRM credentials. This course provided me with the opportunity to interact with other HR professionals who shared similar interest in advancing their careers. In addition, the course offered me the framework that helped me prepare for and pass both the SHRM-SCP and the SPHR examinations. As a result I now have the credentials to take my career to the next level.